I keep repeating this sentiment because honestly, I feel like I have so much crow to eat. I gave some (bleep) on Kuz being a chucker. But I always defended Ingram and gave him the benefit of the doubt because I thought he had crazy potential. I used to think GT had some hidden agenda and hate towards BI (rookie/soph year) but honestly, everything he was saying is true. What exactly is BI good at? Call the numbers, compare it to [player]'s [insert age/year] where BI's stat are better but he clearly fails the eye test and has no real impact on a game. I think he's just in love with the drip/LA lifestyle and maybe he really does love basketball but all that practicing, drills, etc does not translate on the court. It's crazy, there's not one thing he excels at. BI will put up decent stats on a bad team as the number 1/2/3 guy. On a championship team, he's the 6th man running the second unit or the 7th guy coming in to play a role. He also said Ingram's a good player if utilized correctly, and that the staff has failed him in the development department. I think it's pretty obvious to anyone being objective that he could be a consistently solid player if utilized correctly. "He's just in love with the drip/LA lifestyle" makes absolutely zero sense. He's also pretty good at defense to answer your question. He’s already consistently solid, no? Just not spectacular but I am not sure if he has that in him. Why can't more Ingram fans be more honest like this? Props to you man. Being a LAKERS FAN first and not being irrational when it comes to a player you like(d). Ingram doesn't fit on a Lebron team at all. Sorry, you need a role and you need perform it well. Otherwise you need to run with the 2nd unit. Seems he is in the starting lineup purely because of his privilege that comes with being a high draft pick. Sure give him 3-4 years and he MIGHT be good player that excels at multiple aspects of the game. Unfortunately he won't be here in 3 years anyway and its likely he just reverts to being a poverty version of Nicholas Batum. I just think that if you feel he doesn't fit with Bron, you start him until you can find a trade and then move on. If you don't want him in your long term plans, then atleast get the most value back for him instead of what we did with Randle. If you put him on the bench with his contract coming up one of the three will eventually happen: either you massively overpay for a bench player, you get way less value back in a trade or you are forced to let him walk. 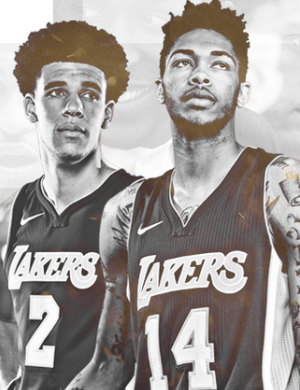 Also at the same time, maybe you gotta just understand that other posters being higher on Ingram doesn't mean we're being dishonest/irrational or that we value Ingram more then the Lakers, maybe JUST maybe, we have a different opinion and believe our opinion is right like you believe with yours. I know it's a crazy suggestion, but think about it. There used to be a point where it seemed like GT was lower on Ingram then anyone on this thread. But honestly, this season it seems like his opinion of Ingram is dead centered in the middle. Lower then all the pro-BI posters but also higher then all the ridiculous BI hot takes posted on here. Unfortunately, talking about young players you get crammed into a binary where people think you either think a guy is a future superstar or a bust, and nothing in between. You can think he's "okay" or "pretty good" and that mostly falls on deaf ears. My opinion of Ingram hasn't changed, it's just now more people have wild "he's trash" takes and fewer people are talking about him like he's a future superstar. Same thing happened with Russell, where people thought that I thought he was the second coming of Steph Curry, when in reality I thought he was a guy who'd make 1-2 all-star games. I still get (bleep) for that two years later because people act like there are only 2 choices. BI at the SF spot with Rondo at the PG spot. I can see a good game for BI tonight. He had no help out there. Webber brought up an interesting point on Wiggins: if a guy is having success, you keep going to him and running similar plays, which is exactly what sealed the game in the 4th. They did the exact opposite of that with Ingram. It's like they don't even want to go to the hot hand. I hope BI is gone, because there are 29 other teams out there that would utilize him better than Luke is. Webber brought up an interesting point on Wiggins: if a guy is having success, you keep going to him and running similar plays, which is exactly what sealed the game in the 4th. They did the exact opposite of that with Ingram. It's like they don't even want to go to the hot hand. I hope BI is gone, because there are 29 other teams out there that would utilize him better than they here. Not feeding the hot hand has been a consistent theme with Luke Walton, I remember back in the DLO times whenever he would start off hot they would just (bleep) stop passing it to him. One time he had 21 in the first against the Nets, ended with 29 cause no one wanted to give him the (bleep) ball. Then Luke would say some (bleep) like "DLO's shot was falling but we feel he needs to focus on passing more". Even though he was a scorer that could have excelled in that role more. Luke Walton's style of coaching is frustrating in certain aspects and this aspect has frustrated me the most. Strange. Ingram has a decent game going but doesn't take the game over and carry? Isn't he supposed to be a "scorer" and "Lebron's Pippen"? Why couldn't he carry us tonight? Is there a reason why he only has 1 total 30+ point game in his career? He wouldn't have to if "OUR CLOSER" (your words, also someone whose closing skills you directly compared to Kobe) gave us more then 10 points on 30% shooting. If Big Bol is currently banned or suspended, then Lazlow has to be next in line right? He's made an account for the sole purpose of bashing one player, 90% of his posts are about Ingram. luke has done it millions of times. its like he has a timesheet. 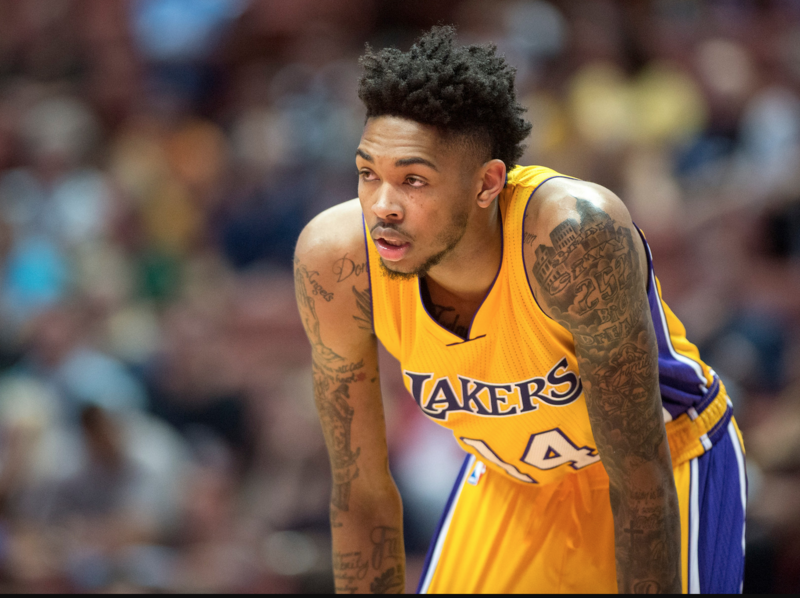 I don't think Ingram becomes a scorer until he can learn to consistently hit the outside shot to keep the defenses honest. He has the ability to score off the dribble but not consistently because he's not that fast and defenses play slightly off him. He should be much better defensively but think he doesn't want it enough on that end of the court. I would have gladly traded a poor BI game for a team win. But alas, the rest of the team besides BI, Rondo and partially KCP sucked. Or is there a difference? Oh the intrigue! Lol If he takes over and plays well. He stat pads and ball hogs. Me too. But at least you look smart. Also, really glad Rondo is back in the mix. Feel more optimistic with a steady hand out there.